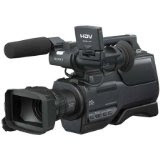 Being a church video director is not just a matter of pressing a few buttons on your video mixer, and you will have a professionally looking recording of your service on DVD to sell or give to homebound congregation members. One of the most common mistakes made by many people starting a new TV ministry, is they spend some money on the equipment, put them in the hands of someone with no studio or tv directing experience (they might claim to have an egineering degree), get a couple of camera operators together and begin to pump out programmes for local TV stations, satellite or the internet! The recordings lack quality, and you begin to wonder why if they could spend money on equipment, they can't get the crew trained and wait till they got to a standard that could be used on TV. There are a few attributes that you need in order to be able to effectively direct a camera crew, and these require training and time to develop and perfect. A church video director needs to be a good camera operator. For you to effectively direct a camera crew and the staff of a TV studio gallery (vision mixers, VT operators, CCU, etc) you need to have worked and excelled at operating a camera for a few reasons. First you would know what are good and correctly composed shots. Secondly you might need to troubleshoot or adjust the church camera for a trainee or novice cameraman. You need to know how to correctly switch between shots and create good live programmes. The correct techniques involved in live video camera switching or mixing has to be learnt, as the shots are not random. For example when you have 2 camera shots of the church pastor, they must no be of the same shot size when you are cutting between them, even if they are from different angles. A church video director will have to switch between music beats for the images to flow smoothly during praise and worship or music concerts. These are just some tips on being a good video director if involved in a church's media department, but the key thing is that you need some training and time to get good at it. As you know anything in the video industry is not cheap, so a good starting point would be reading the book Basic Studio Directing by Rod Fairweather. I got my TV video directing skills from a BBC trained studio director with over 20 years experience, who used this book as a manual, and I can say that you will learn a lot from Rod's knowledge and while it alone will not teach you everything you need to know in a day or two, it is better than not taking any training at all. If you are in the UK and are interested in one on one or church group training for video directing or any other video production techniques (editing, single camera directing, etc), then feel feel to contact me via email, details are on the sidebar. Our mobile studio production unit the Datavideo HS-2000.